So anyone who has participated in Dewey’s Readathon knows that there are dangers – not the least of which is the explosion of your chosen feed reader both during and in the days following the event. 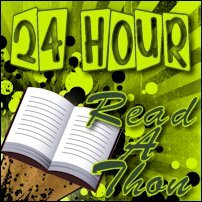 Nearly every blog I subscribe to is one I discovered when I very first started blogging in the bookish world, and many are from Readathon connections. Part of me is tempted to unsub from anything whose author I’m not also connected with on Twitter, LibraryThing, etc., or to remove those blogs without an entry in the last year. But you know what? I’ve gone months at a time without updating here, and while my subscribers certainly haven’t grown, they haven’t dropped, either. So instead, I’ve marked my 1000+ unread as read, will make a point to actively go through my reader each day until the readathon, and only weed out those blogs I really don’t get anything from reading. Any blogs that aren’t updated will be put into a single folder together, and I’ll go through that one every once in a while to move updated blogs either into a category folder or unsub. I’m also going to organize my reader more categorically; currently, it’s rather a hodgepodge, with book blogs in a couple of different places, social media and networking blogs mixed in with random internet funnies, and it really just needs tidying once and for all. I think that’ll make it far more manageable, not to mention that when it’s organized, I won’t be as overwhelmed by the sheer number of unread posts. The Google Reader has caused more gray hairs than my children! I read blogs for 30-60 minutes each night; then, on Sundays, I “mark all as read” and begin again the next day. I also will pop over to a link from twitter when something catches my eye during the day. I guess it’s a multi-faceted approach. I have so much guilt associated with marking everything read; I really need to get over that!